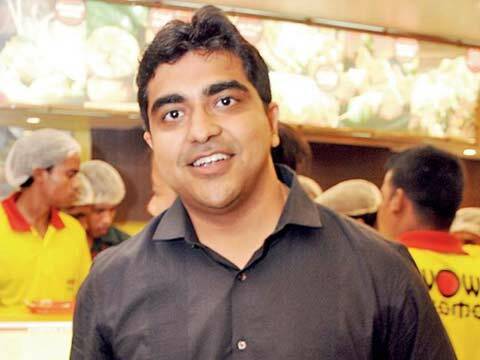 In an exclusive conversation with Restaurant India, Sagar Daryani, Co-founder of Wow! Momo shares how Wow! Momo has continued its excellence l over the years with great turnovers. Started by Sagar Daryani and Binod Homagai in 2008, Wow! Momo is known for its unique and specialised momos. Started with a mere investment of Rs 30,000, the brand has grown rapidly, becoming the country's largest momo chain with good turnovers and new innovations. Currently operating 61 stores across Chennai, Pune, Bengaluru, Kochi, Delhi, NCR, Coimbatore and Digha, the group is targeting to open 100 stores in next two years. What all is included in your product line? Our menu comprises of mainly momos and thupka. We serve 11 different flavours of momos available in steamed, fried, pan-fried, sizzler and baked variants in Chicken, Vegetable, Fish, Mushroom momo, Paneer, Prawn, Corn Spring Onion and even Chocolate and momo burger. How do you do the pricing of Momos? Our ranges start from Rs. 70-150 and even our ABC is Rs.100 as we value the money. There are so many unorganised momo chains in India. How much competition do you face from them? Yes, there are many momo chains and unorganised players and no organised player like us. So, we are way ahead; now many more companies are coming up with their momo businesses. What we think is that increase in competition will make things more challenging. According to you, what are the global trends coming in 2016? Earlier, there was only MC Donald’s and KFC but now Carl’s Junior and other global chains are entering Indian market, giving a way to the global brands. Lots of finger food will be coming up and also international food. Even now, eating out has become a fashion. People want quick food as everyone has a busy lifestyle. So, this the correct time for the huge open market QSR to flourish. Where do you stand in terms of revenue? This year our turnover was Rs 40 crore which is growing gradually. We are planning to open 100 stores by March 2017. Presently, we have seven in Delhi, 33 in Kolkata. We want to be the best in what we do with presence in 5-6 different cities. We are looking at IPO from 7 years and want to target the Indian market, as its expanding rapidly. Is supermenu an essential appendage to the healthy..